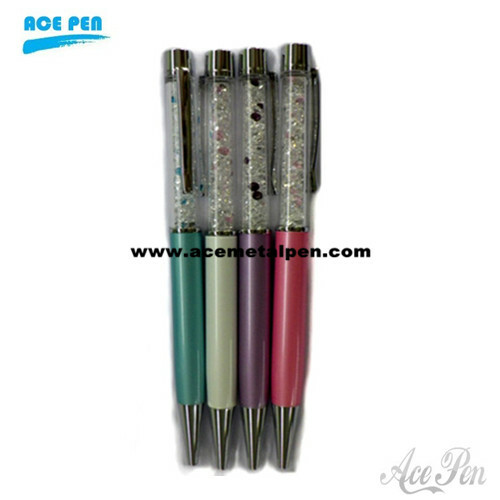 New fashion gifts crystal pen are made from various colors and styles. Nice and high quality Crystal Ball Pen-Solid brass barrel and Brass made parts. Chrome plated clip,center band and tip. 4.customer's own design is welcomed. Made from various colors and styles.Available in various kinds of crystal pens With ordinary Chinese stones, Swarovski stones.Elegant metal pen with quality crystals in barrel of pen. Different styles and sizes.